I plan to share a few anecdotes and learnings that I hope will be interesting and maybe even useful as you navigate your career. Some of the topics will include some technology nuggets and thoughts on Safety, Economics, Problem Solving, Risk Taking, and People. I hope something resonates with you and you can share your experience with the group. Ron Leng is a Research Fellow currently with Corteva Agriscience. He has worked for Dow for 38 years in a variety of roles in both R&D and Manufacturing. He has extensive project leadership experience in the development and scale up of new processes for a wide variety of Dow businesses with primary focus in the Agricultural Chemicals arena. Additionally, he has experience in developing and implementing supply strategies cost estimation. 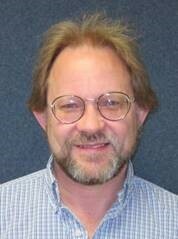 Ron is a chemical engineer, graduating from Michigan Technological University in 1981 and is active in the AIChE. Ron has been married for 35 years and is the father of three adult children. His hobbies include sailing in the Great Lakes of Michigan, playing hockey, cross-country skiing, woodworking and teaching high school science in a local home-school co-op. Complimentary sandwiches will be available (first come, first serve) at 6 pm with the talk starting at 6:30 pm. The lecture qualifies for one continuing education hour. CEH certificates are needed for licensed Professional Engineers to maintain their license, and certificates will be provided to interested attendees.